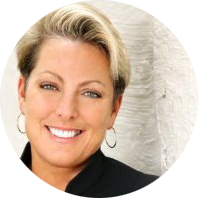 Dina Dwyer-Owens is one of the most successful businesswomen in the country today. As co-chair of Dwyer Group, she guides 12 franchise brands with more than $1 billion in yearly sales. She speaks to audiences all over the world about the importance of values in business and life. As a wife and mother who cares deeply about her Catholic faith, she is also passionate about helping people manage the balancing act of faith, family, and work. She has written two books on these themes: Live R.I.C.H. and Values, Inc. Forbes Magazine named Values, Inc. one of the Top Ten Business Books of 2015.